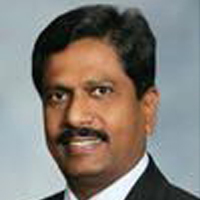 Papaiah Gopal, MD is a physiatrist who specializes in physical medicine and rehabilitation. He has a widespread knowledge base with prior experience in general and neurosurgery, cardiology and electrodiagostic testing. Dr. Gopal attended Mysore Medical College in India with a specialization in general surgery. He was a member of the house staff in neurosurgery at both Long Island College Hospital in Brooklyn, NY and at North Shore University Hospital in Manhasset, NY. He then acquired further training in physical medicine and rehabilitation from New York Medical College. Dr. Gopal is a skilled diagnostician and is an important resource for patients requiring rehabilitation for a host of conditions and injuries.